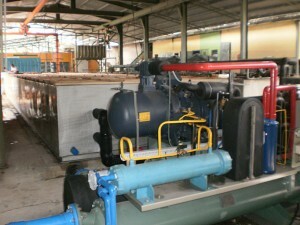 Ice Block Machine - Ice Block Machine for Sale. If you own an ice block machine at home, you need to know that this machine uses a higher technology as compared to other refrigeration machine inside your home. If you want to ice machine increase its gendering effect and its service life, then you need to observe proper maintenance, care, repair, and the proper handling of this machine. All of these factors can influence how long your ice block maker will last. It is important for homeowners or business owners like you to know how you can prolong the service life of your ice machine. The first thing that you need to keep in mind is that you need to place the machine in a spot that is away from any heat source. You ice machine should be away from direct sunlight. The ambient temperature should not go beyond 35°C and the place where you will install the machine should be well ventilated. It is also important to pay too much attention to the gap of installing. The gap between the back and the side of the machine should not be less than 30 cm from the wall. The top part should be less than 60cm on the roof. This is an important reminder for all ice block machine owners. How the ice block machine can make money for you? Many people would rather place their water or drink chilled because this helps make the liquid better appreciated and the nature of our economy does not permit everyone to own a refrigerator at work or home to cool their drinks. For those who have refrigerating sets, the epileptic power supply in the country don’t give room for them to enjoy cool and refreshing drinks and food as the case might be. For this reason, individuals are always looking for alternative way to cool them which is how this business makes the image. A good thing relating to this clients are that anybody can make huge revenue from this if they is shrewd. The entire process of making ice block is simple as it is just water frozen to some solid state and also the shape it requires is a replica from the cellophane or container the water was poured into. Our company KINGMAN (HK) INDUSTRIAL is committed to manufacturing large ice block making machine. We are sincerely welcome overseas friends all over the world and need everyone could an enormous profit from ice making business.